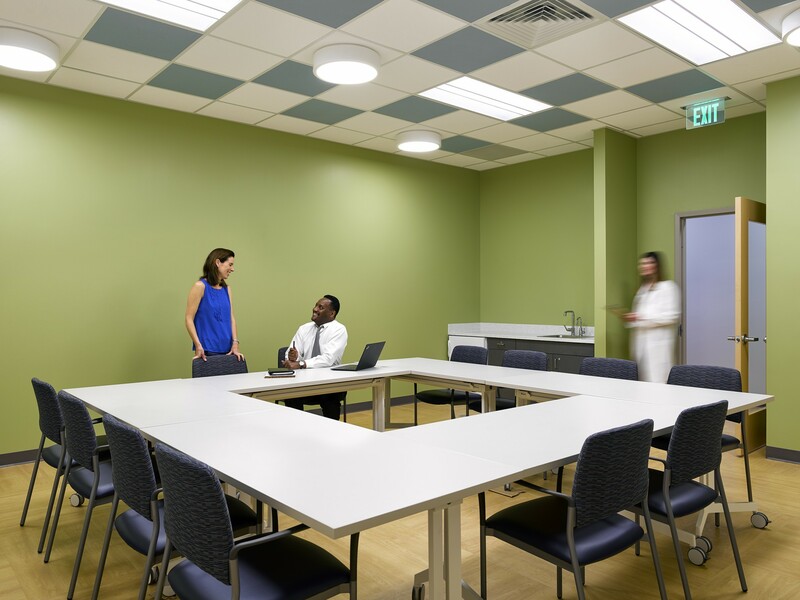 178 therapists from Johns Hopkins Bayview Community Psychiatry Programs were relocated from10 floors of the Mason Lord Towers a single story building adjacent to the main campus. 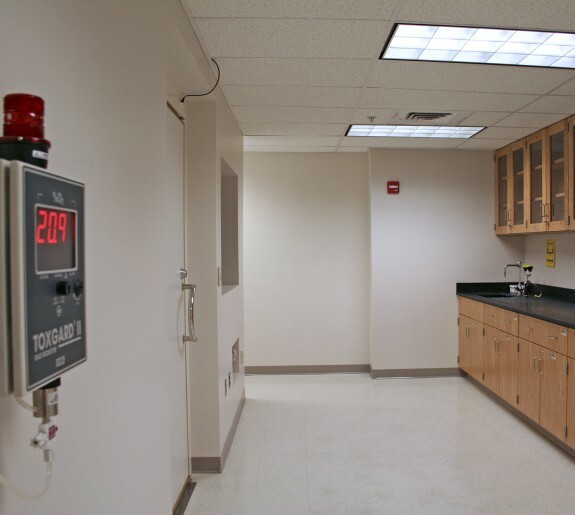 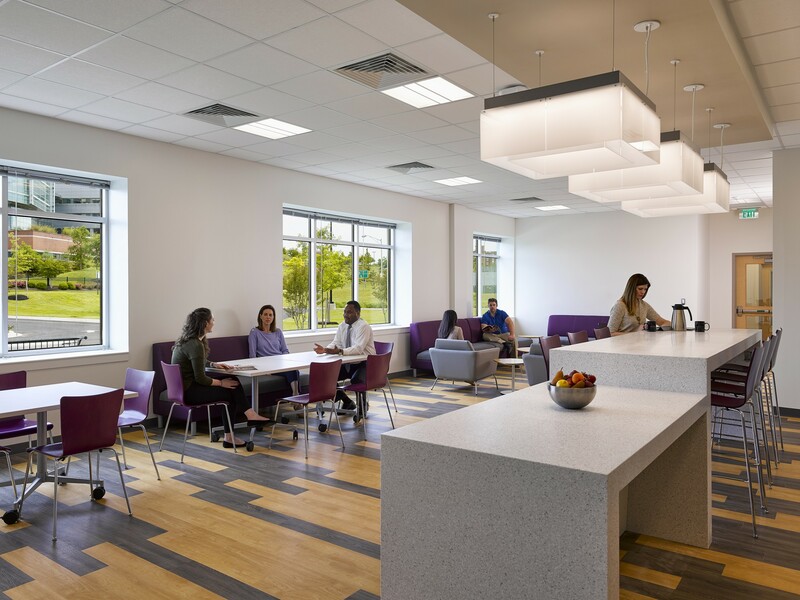 DCI guided the staff in taking a an inclusive approach to the design; which in conjunction with being on a single floor plate allowed programs to share spaces, increase efficiency, and collaboration between these previously separated groups. 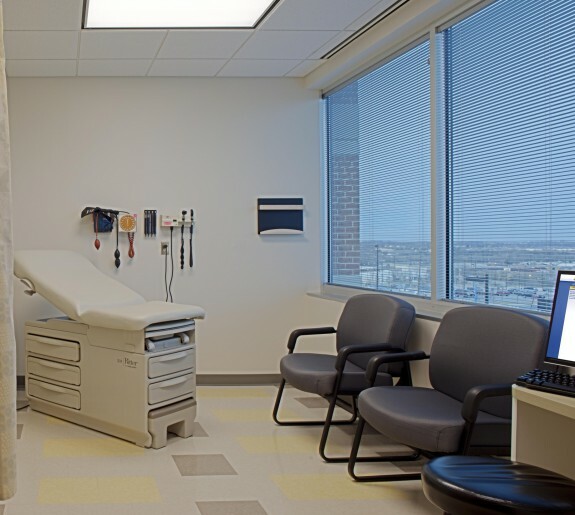 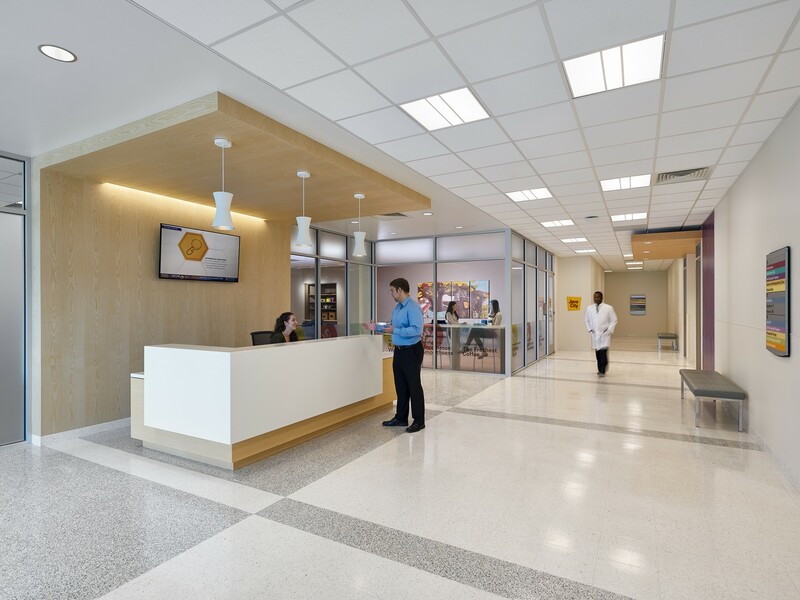 The scope included therapist offices, patient group rooms, patient time out rooms, a research suite, a health suite, central registration, an employee lounge, and a café. 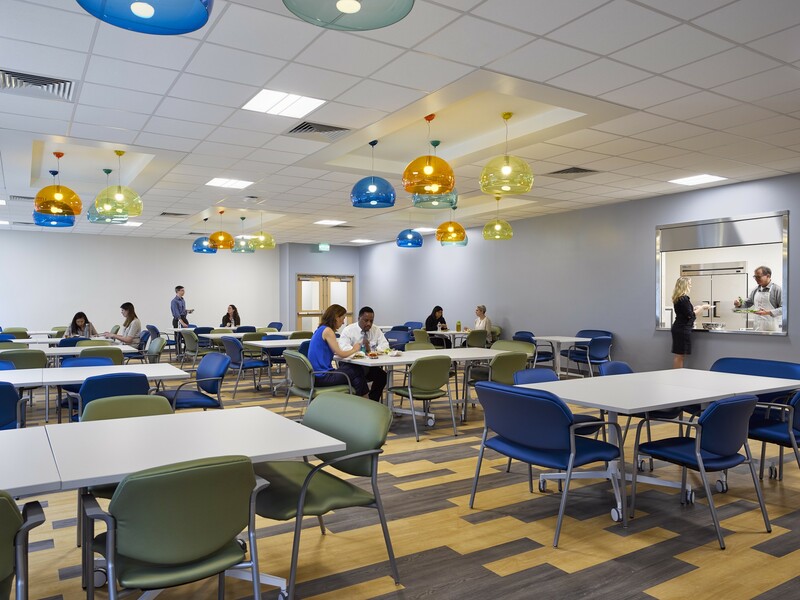 DCI's scope of services included programing, design, contract documentation, contract administration, signage, and some move management coordination. 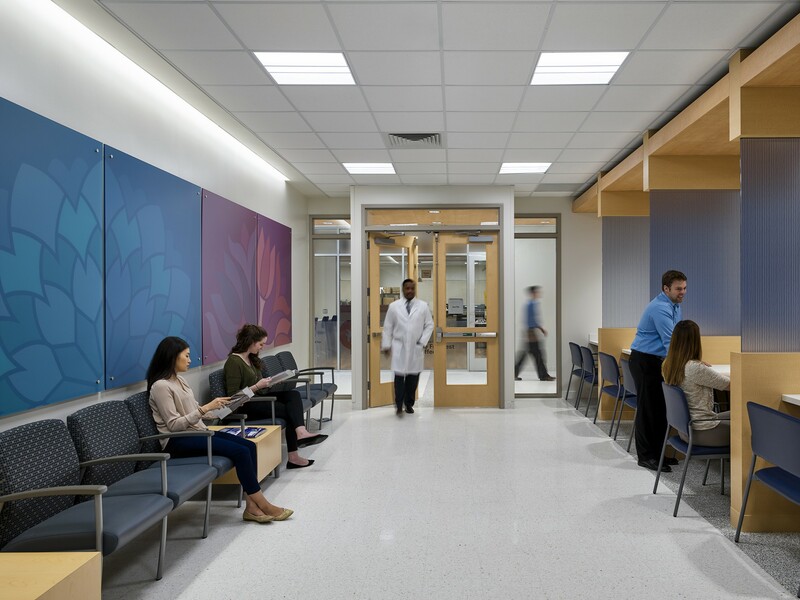 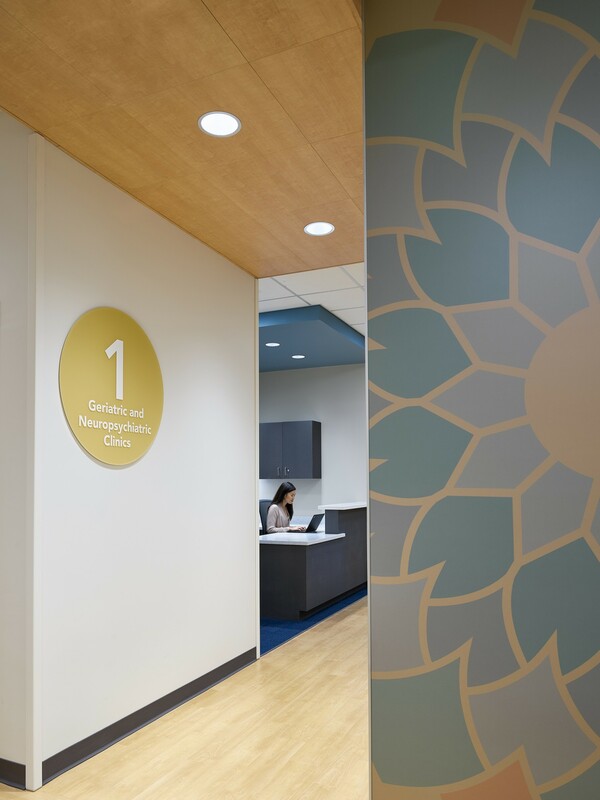 Throughout the design and construction process the goal of creating a safe, welcoming, calming, comfortable, bright, joyous and healthy environment was reaccessed to maximize positive patient outcomes and therapist success. 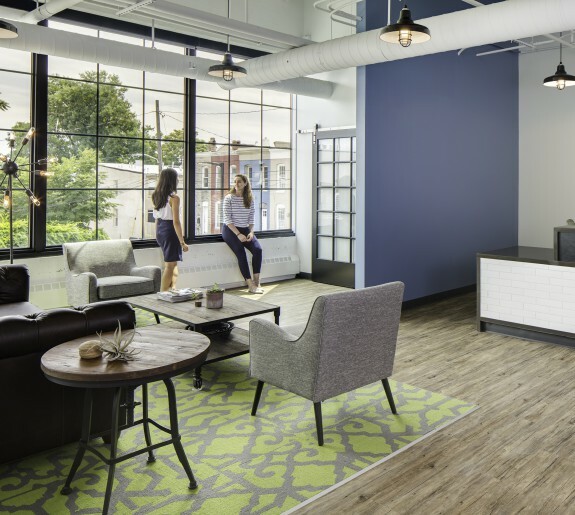 Utilizing DCI's multidisciplinary studio, interiors and graphics were able to collaborate on graphic panels that became key design moments. 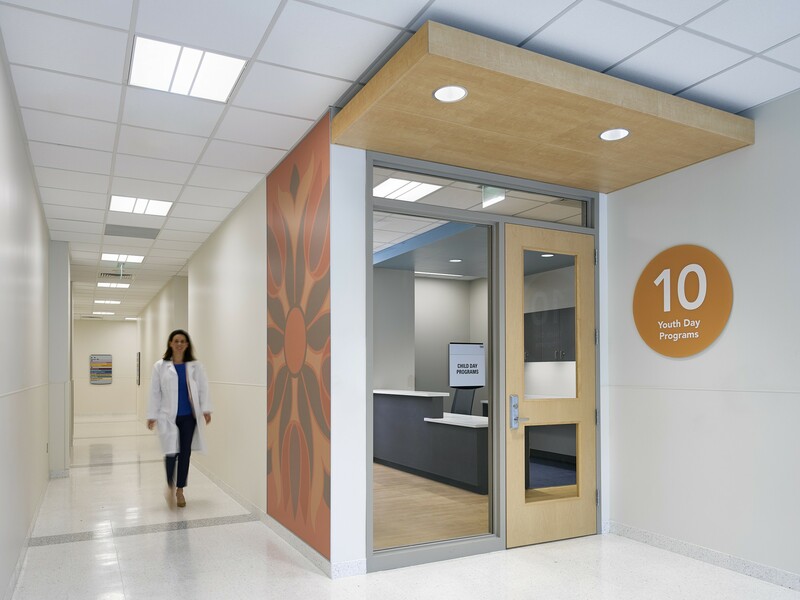 These panels not only infused the space with art/design, but also acted of way finding for patients and staff.